The first place prize will be a signed copy of both The Finding AND The Beginning, a full color map and a bookmark. The second place prize will be a signed copy of The Beginning, a full color map and a bookmark. The third place prize will be a signed copy of The Finding, a full color map and a bookmark. So, those are the prizes, here are the rules: This contest will be for the artists out there. You are to come up with a drawing, sketch or painting of your favorite character(s) or scene from The Finding OR The Beginning, using any medium you wish. Artwork must be submitted to the author electronically (as a JPEG or PDF file image) to jejohnson@oescienne.com, with your name, a title of your artwork and a short description. All entries will be posted on the Artwork page of the site, along with the artist’s name, age and title of the work (if you wish), and the top three contestants will be displayed on the Contests page. The art contest will run, officially, from July 5th to September 5th (the final date I will be accepting submissions), and the entries will be judged by the author and a few other outside sources. Entries will be judged on both skill, creativity and originality. No more than THREE entries from each contestant will be considered. Winners will be announced no later than September 30th. If you have not read The Finding or The Beginning, you may still enter. You may either use your imaginative skills to develop a character sketch from the images on the website, OR you may illustrate a scene or character from the posted excerpts of The Finding or The Beginning found on the Books page of this website. Winners will be emailed once the judging is over. Please be ready to send a mailing address (if you are among the top three), so that I may send you your prize. Good luck to all of you and feel free to email me should you have any questions. 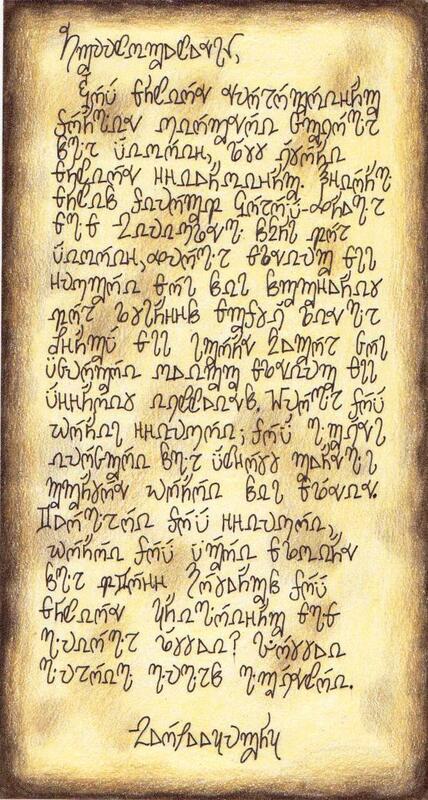 Quite a while ago I posted a letter in Kruelt (the dragons' language), in hopes to lure some code-breakers. I haven't had much of a response, so I decided to make it a contest. If you are able to crack the code you will win a signed copy of The Finding, a full-color 8 1/2" x 11" map of Oescienne and a bookmark with an original design by the author. There is no time limit; it all depends on who is the first to decipher the message. All that you will be required to do is email the letter's contents (in English of course) to me through this site (including your name and a mailing address). If I decide you have successfully translated the message, I'll send you an email telling you so and will mail the book and other prizes as soon as I'm able. A few clues to help with the message can be found on this site and I'll occasionally post a few more on my blog, Jahrra's Journal. But you'll have to decipher the rest on your own. Good luck and may the best Ethöen win! The winner of the Krueltish Letter constest will be announced here, so keep checking back!